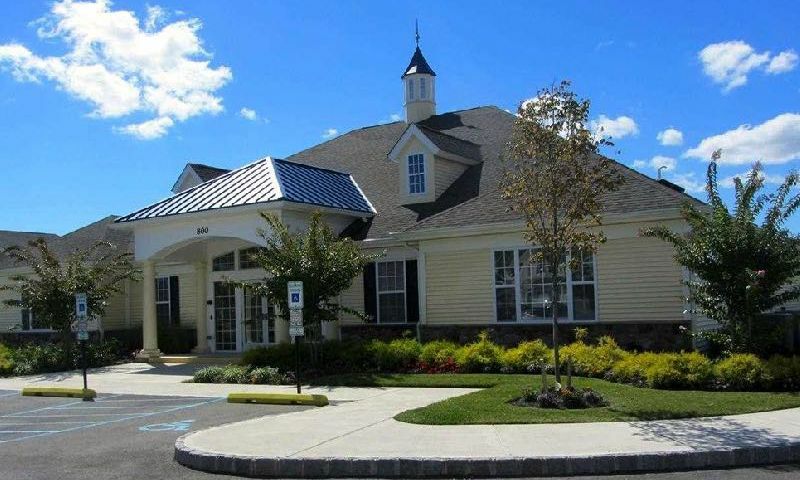 Legacy at Cape May is a 55+ community located in Rio Grande, New Jersey. This beautiful community brings some of the country's most renowned active adult developers, Ryan Homes and Lennar Homes, into Southern New Jersey. Legacy at Cape May provides homeowners with a community clubhouse that features indoor and outdoor amenities to bring neighbors together in the highly sought-after Southern New Jersey area. At the center of the community is the clubhouse. A fitness room is on hand to help residents stay in shape, while a craft room, billiards table, and a game room keeps homeowners socially active. There are also computers conveniently available. Outdoors, Legacy at Cape May provides a pool and patio for taking advantage of the warmer months. A bocce ball and shuffleboard court brings neighbors together for some friendly competition. Lennar Homes began construction on Legacy at Cape May in 2007 before Ryan Homes took over in 2010. Ryan Homes offered two floor plans in Legacy at Cape May. These homes range in size from 1,983 to 2,023 square feet and offer three bedrooms, two-and-a-half bathrooms and an attached one or two-car garage. The homes developed by Lennar range in size from 2,140 to 2,600 square feet and offer two or three bedrooms, two or two-and-a-half bathrooms and an attached one or two-car garage. Homes throughout Legacy at Cape May include hardwood flooring, tray ceilings, and stainless steel appliances. The community was completed in 2014 with 141 single-family homes. Living in Legacy at Cape May means enjoying a low-maintenance community with like-minded neighbors. Staying in shape is never a chore with activities like yoga and dancing. You can join a fascinating discussion in the history club, or meet new friends at luncheons, holiday parties, or ice cream socials. Legacy at Cape May keeps residents entertained, physically active and socially satisfied. Legacy at Cape May is located in Rio Grande, New Jersey. Just down the street from the community gates is the Grande Center, hosting a Lowe's, Michaels, and Walmart. Garden State Parkway is just over a mile away, taking you to the Atlantic City International Airport that sits just over an hour away. Cape Regional Medical Center is about 5 miles away. Active adults who choose Legacy at Cape May will love the miles of beaches nearby with Rio Grande offering several restaurants, museums, and shopping. Southern New Jersey also boasts a vibrant vineyard scene, giving the wine lover several opportunities to explore the region's special offerings. Legacy at Cape May provides the terrific location and comfortable homes to make it a highly desirable active adult community in Southern New Jersey. There are plenty of activities available in Legacy at Cape May. Here is a sample of some of the clubs, activities and classes offered here. Ryan Homes offered two floor plans in Legacy at Cape May. These homes range in size from 1,983 to 2,023 square feet and offer three bedrooms, two-and-a-half bathrooms and an attached one or two-car garage. Lennar Homes began construction on Legacy at Cape May in 2007 before Ryan Homes took over in 2010. These homes range in size from 2,140 to 2,600 square feet and offer two or three bedrooms, two or two-and-a-half bathrooms and an attached one or two-car garage. 55places.com is not affiliated with the developer(s) or homeowners association of Legacy at Cape May. The information you submit is distributed to a 55places.com Partner Agent, who is a licensed real estate agent. The information regarding Legacy at Cape May has not been verified or approved by the developer or homeowners association. Please verify all information prior to purchasing. 55places.com is not responsible for any errors regarding the information displayed on this website.